Home Features Will the Real Safe Standing Please Stand Up? Will the Real Safe Standing Please Stand Up? Before we get down to business, allow me to introduce myself. My name is James Chisem and, as well as being the Secretary of the Huddersfield Town Supporters Association, I’m an active member of the Stand Up For Town (SUFT) campaign. Now, over the past eighteen months, I’ve written a lot about safe standing—so much so that I half-expect my grave to be marked by a solitary rail-seat. And when we talk about safe standing in this country, we’re really talking about rail seating. Figure 1. The rail-seating area in the Lisbon Lions Stand at Celtic Park. Many European clubs, including Bayern Munich and Hamburg, utilise rail seating, and last year Celtic became the first British club to install rail seats in their stadium. But other forms of safe standing do exist, and strangely enough, we’ve experienced more pushback from the proponents of these alternatives than we have from those who oppose safe standing in all its guises. The most popular alternative seems to be clip-on seating. Figure 2. The clip-on seating area at Bochum’s Vonovia-Ruhrstadion (note the bolts on every other step). This consists of a relatively exposed terrace punctuated every few rows by traditional safety barriers. When necessary, these barriers can be removed, making way for plastic seats to be attached to every second row. Monchengladbach’s Borussia Park and Schalke’s Veltins-Arena both include areas that can be converted to house clip-on seats, as does the lower-section of Dortmund’s famous South Bank. So, with company like this, why is SUFT focussed entirely on rail seating? Surely, I hear you ask, it would pay to keep our options open? Well, the blunt answer is no, it wouldn’t. We’re not denying that clip-on seating works for some clubs in Germany. But terracing has a different historical context on the continent, and for that reason, there are less political obstacles to a more ‘open’ terracing environment. The fact is, there is no way that the powers that be will alter the Football Spectators Act to allow any form of spectator accommodation that resembles the terraces of old. Just from a pragmatic standpoint, then, the campaign for rail-seating is likely to be the most effective, and that’s been borne out by developments in the past decade or so. To introduce clip-on seating into the equation at this point would needlessly complicate matters, not to mention jeopardise all the hard work that has already gone into the safe standing campaign. But it’s important to note that there are also safety issues around clip-on seating. Some serious doubts have been expressed as to whether the barriers used in clip-on seating areas would fulfil existing UK stadium safety regulations, which stipulate that standing areas must have continuous rails or barriers capable of withstanding 2 Kilonewton metres (k/Nm) of force. Rail seating, on the other hand, complies with these regulations. Indeed, it appears that the Sports Ground Safety Authority (SGSA) are considering the introduction of rail-seating, or as they call it in the latest Green Guide, “dual-purpose seating’, on that basis. Then there’s the question of cost and feasibility. In multipurpose stadia, the cost of converting open terracing to clip-on seating is significant because (a) the seats have to be stored somewhere, and (b) it takes a lot of people a lot of time to do it. Converting a rail seating area, by contrast, takes only a few people and very little time (seconds per seat). So, as a campaign, we must be mindful of the political and practical realities that shape the safe standing debate in the UK. And those realities suggest that rail-seating is both (a) the safest available option and (b) the option most likely to succeed. 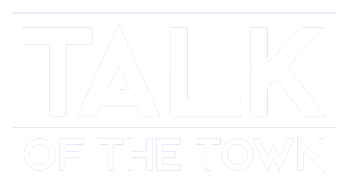 If you’d like to learn more about the Stand Up For Town campaign, visit our website and follow us on Twitter (@StandUpForTown). Rail seating is being campaigned for terrifically but, as always, we’ve got to get the Government on side with this so it can be extended to all stadiums across the English football pyramid. According to news stories from the past, rail seating has been given the green light for use in League Two and One, hence the story announcing Shrewsbury will be assembling a section of rail seating.